The Canadian network Teletoon is slated to air the Lego Batman: The Movie – DC Super Heroes Unite animated feature on Saturday, June 7th, 2014 at 10:00am (ET/). Lego Batman: The Movie – DC Super Heroes Unite is the 2013 full-length CG-animated movie based on the popular TT Animation video game franchise. The film was released last year to home video and digital download, garnering critical acclaimed and positive feedback. 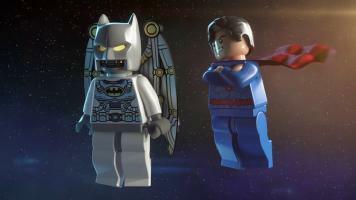 Lego Batman: The Movie – DC Super Heroes Unite has aired frequently on Teletoon, the popular animation network available in Canada, since it’s release. 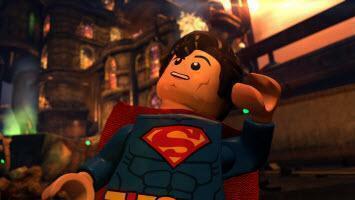 Details and images for the animated feature can be found below, provided by the network. Click the links below to discuss the Lego Batman: The Movie – DC Super Heroes Unite animated feature. 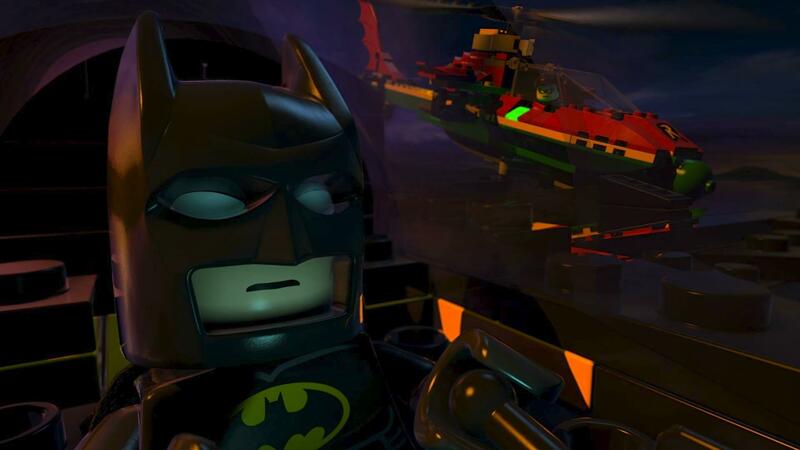 In additional news, Warner Interactive has announced a new title in the Lego Batman videogame franchise – Lego Batman 3: Beyond Gotham. Warner Bros. Interactive Entertainment, TT Games and The LEGO Group state Lego Batman 3: Beyond Gotham will be available beginning Fall 2014 for the Xbox One all-in-one games and entertainment system and the Xbox 360 games and entertainment system from Microsoft, PlayStation 4 and PlayStation 3 computer entertainment systems, PlayStation Vita handheld entertainment system, the Wii U system from Nintendo, Nintendo 3DS hand-held system, as well as for Windows PC. The official press release can be found below. 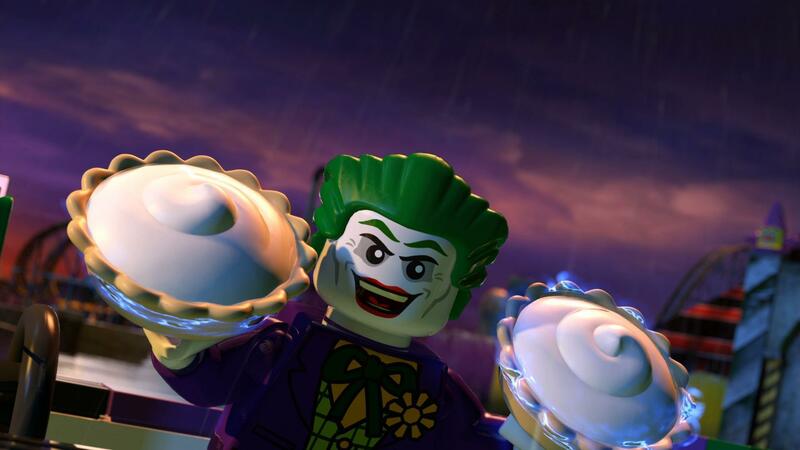 Warner Bros. Interactive Entertainment, TT Games and The LEGO Group today announced Lego Batman 3: Beyond Gotham will be available beginning Fall 2014 for the Xbox One all-in-one games and entertainment system and the Xbox 360 games and entertainment system from Microsoft, PlayStation4 and PlayStation3 computer entertainment systems, PlayStation Vita handheld entertainment system, the Wii U system from Nintendo, Nintendo 3DS hand-held system, as well as for Windows PC. Lego Batman 3: Beyond Gotham is the next installment to the blockbuster LEGO Batman: The Videogame and LEGO Batman 2: DC Super Heroes videogames. To-date, LEGO videogame sales have reached more than 100 million units worldwide. Lego Batman 3: Beyond Gotham also will allow players to explore iconic locations such as the Hall of Justice, the Batcave and the Justice League Watchtower. They will be able to access Batman’s training modules on the Bat Computer and take part in various challenges, battles and races. TT Games (www.ttgames.com) is the combined publishing and development group behind the hit games LEGO® Star Wars™, LEGO® Batman™: The Videogame, LEGO® Indiana Jones™: The Original Adventures and BIONICLE® Heroes. Incorporating renowned UK developer Traveller’s Tales, TT Games has a distinctive focus on console, handheld, mobile and PC games of the highest quality, aimed at young gamers and their families. The LEGO Group (www.LEGO.com) is a privately held, family-owned company, based in Billund, Denmark. It was founded in 1932 and today the group is one of the world’s leading manufacturers of play materials for children. The company is committed to the development of children’s creative and imaginative abilities through its products, which can be purchased in more than 130 countries. 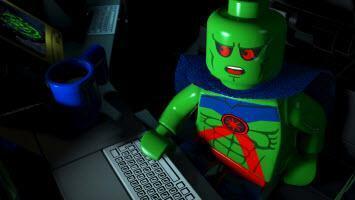 Visit www.LEGO.com. LEGO and the LEGO logo are trademarks of The LEGO Group. 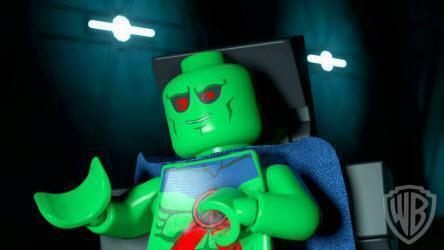 © 2014 The LEGO Group. Click here to discuss this news on The Toonzone Video Games Forum! 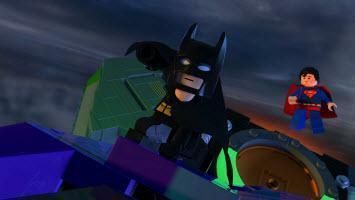 For the entire month of May 2014, and into June 2014, The Paley Center for Media will be showcasing a host of both live-action and animated Batman presentations. The presentations – being held at both the The Paley Center for Media In New York and The Paley Center for Media in Los Angeles – include regular movie screenings, episode screenings, and special live events focused on different eras of Batman’s long entertainment history. Details on some select events can be found below, with a complete rundown available at the official The Paley Center for Media website. Even your grandmother could name Batman’s sidekick or home base (or maybe both). The Dark Knight is arguably the world’s most popular superhero and one of the most iconic and influential fictional characters of all time. Celebrate the seventy-fifth anniversary of his first appearance, in Detective Comics #27 (May 1939) every weekend in May at the Paley Center with a wide variety of Bat-entertainment, from the cheesy propaganda of the 1943 movie serial up to today’s critically acclaimed DC Universe Animated Original Movies, including Justice League: Doom and LEGO Batman: The Movie – DC Super Heroes Unite. Details on other Batman-related screenings – including episodes of the classic 1960s Batman television show and the 1940s Batman series – can be found at the official The Paley Center for Media website. The Paley Center for Media, with locations in New York and Los Angeles, focuses on the discussion about the cultural, creative, and social significance of television, radio, and emerging platforms for the professional community and media-interested public. The Center plays hosts to many events throughout the month, touching upon different areas of the vast entertainment industry. These screenings at The Paley Center for Media are part of the year-long “Batman 75” celebrations, commemorating the 75th anniversary of Batman’s first comic book appearance. 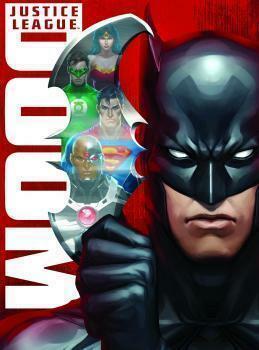 More details on “Batman 75” can be found here. 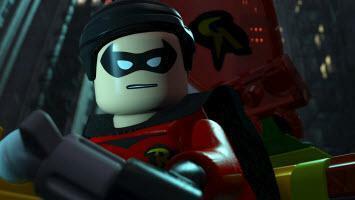 The first official clip from the upcoming Lego Batman: The Movie – DC Superheroes Unite animated feature has been released by Warner Home Video. 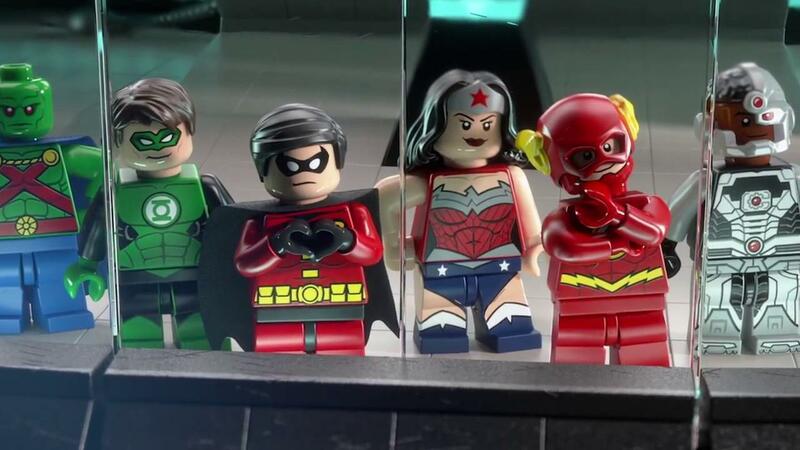 Hitting home video and digital outlets on May 21st, 2013, Lego Batman: The Movie – DC Superheroes Unite is the full-length animated feature film based on the popular TT Animation video game. The film will be available as a Blu-ray Combo Pack, DVD and OnDemand, though is now available to own via Digital Download. Initial Blu-ray Combo Pack & DVD release will include an exclusive Lego Clark Kent/Superman figurine on pack while supplies last. Click on the thumbnail below to view the new clip in the High-Definition Quicktime/MP4 format, and click the additional thumbnails for stills. 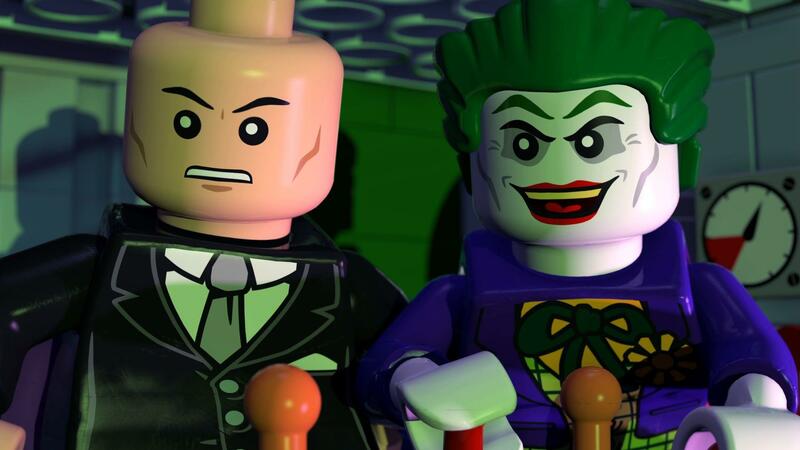 Lego Batman: The Movie – DC Superheroes Unite provides the ultimate blend of action and humor guaranteed to entertain fanboys of all ages. The film finds Lex Luthor taking jealousy to new heights when fellow billionaire Bruce Wayne wins the Man of the Year Award. 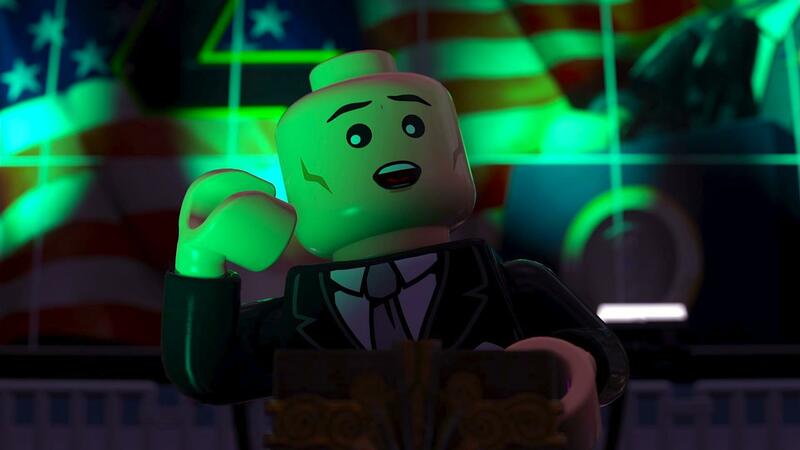 To top Wayne’s accomplishment, Lex begins a campaign for President – and to create the atmosphere for his type of fear-based politics, he recruits the Joker to perfect a Black LEGO Destructor Ray. While wreaking havoc on Gotham, Lex successfully destroys Batman’s technology – forcing the Caped Crusader to reluctantly turn to Superman for help. Click here to view the trailer for Lego Batman: The Movie – DC Super Heroes Unite. 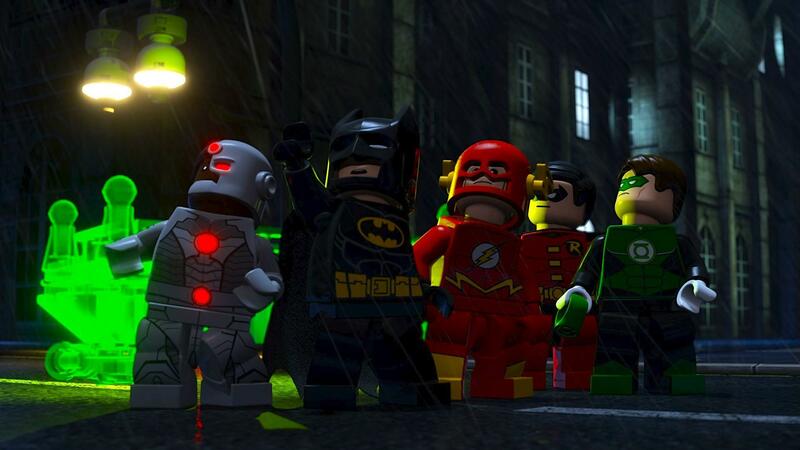 Lego Batman: The Movie – DC Super Heroes Unite, the animated feature based on the acclaimed video game series, arrives on home video and for download come May 21st, 2013. Stay tuned for further updates and additional content here soon at The World’s Finest. Discuss Lego Batman – The Movie: DC Super Heroes Unite at The DC Animation Forum!